← Lots of steps (and pancakes)! 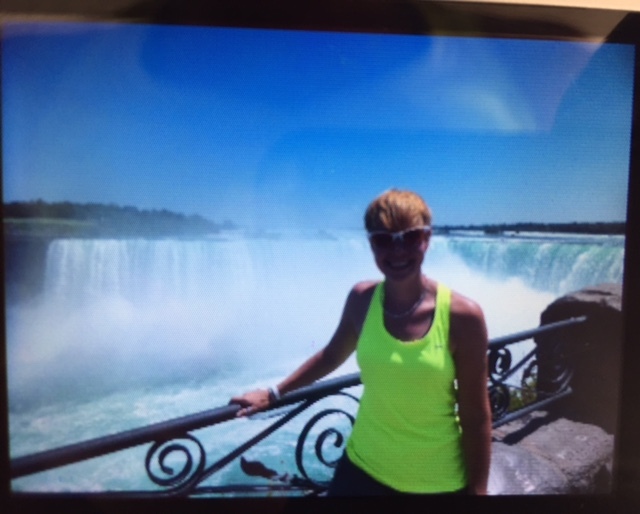 Here you go, we took the greyhound to Niagara Falls today, and we didn’t fall in! We had a great wee day. No rainbows, but plenty of sunshine and pretty views. It was a lovely day, nice and sunny, about 30’C. 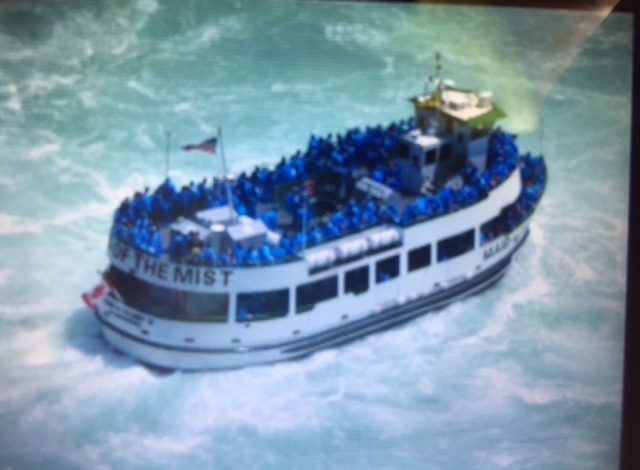 Here’s the maid of the mist! 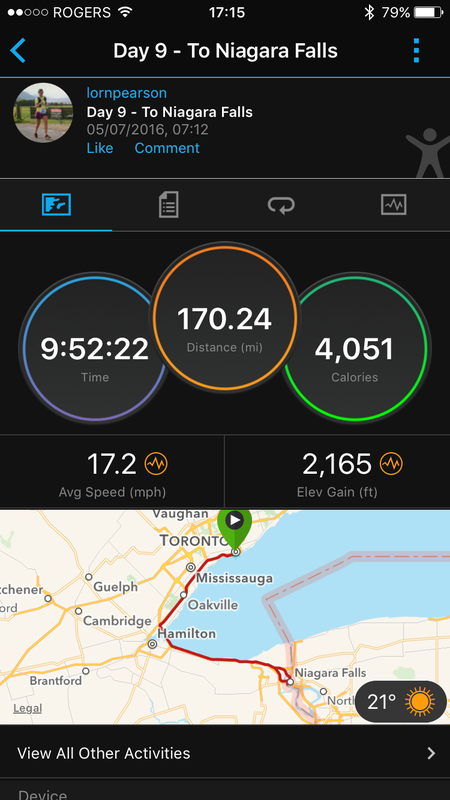 A 163 mile round trip with around 7 miles waking when we got there. 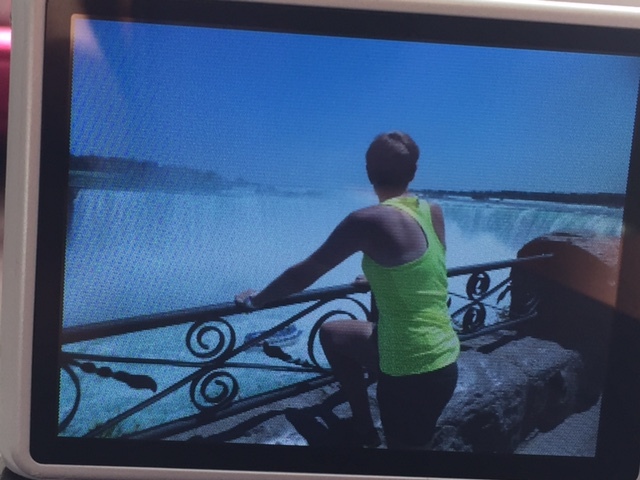 🙂 (from the bus to the falls). 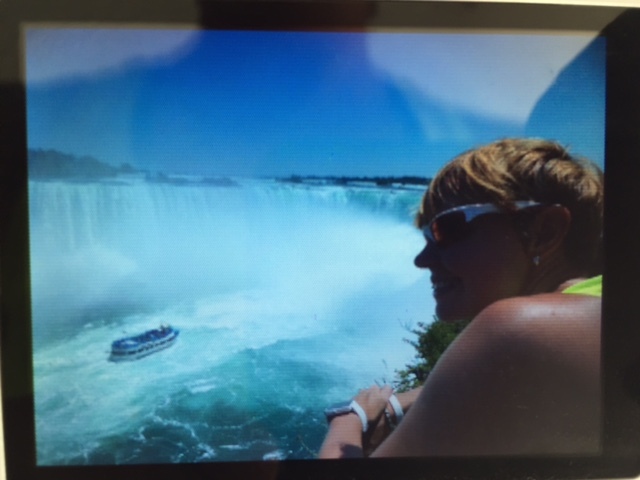 There was a plaque that said in 1600 the edge of the falls was 3.66km further up than they are today… So that maybe means in the 60s – 50 odd years ago, the edge would have been around 440m further up than it is now.